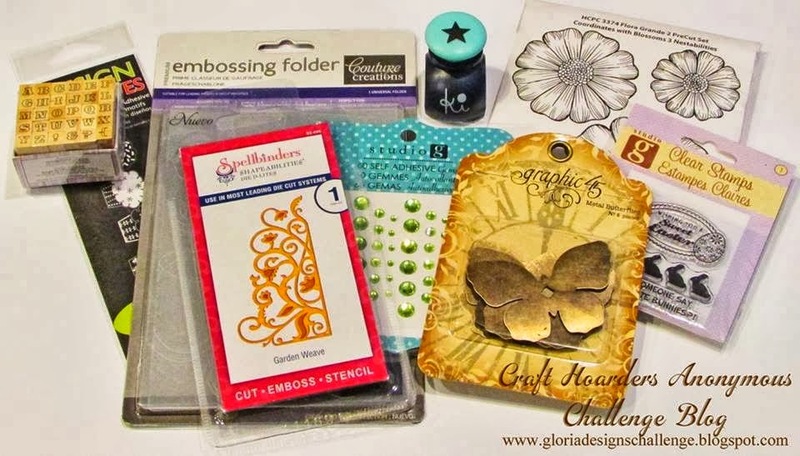 Are you a hoarder of you paper crafting products....most of us are....so it is exciting to share that today is the first challenge for the Craft Hoarders Anonymous Challenge Blog!!!! The first challenge is called "What's Your Style" ... and all I could think of was that I love it all!!!!! I have several paper manufactures that I have to have every collection and then I hold on to it for that "special" project, lol....I am sure you know what I am talking about....Today I decided to pull out some of the Graphic 45 French Country and do a layout of my husband and our friend....what sweet Memories it brought back to me....and what a very "special layout" it is. Next Monday-Feb 10 Group B will be sharing their style with you. I love all of the details included on your page!!! Ah, a beautiful layout...yes, that's YOU, Pam! So totally you. And you know I love that French Country!!! Unique and personal.........I love it! sigh I love the French Country paper and I love how you used them here. Beautiful page! I love this page! Wonderful colors and so many wonderful elements. So much to see! Very pretty colors and I love to fussy cut also! Your work is beautiful! Pam, love your layout....French Country was one of my favorite lines from G45! Gorgeous LO Pam. I like the bold colors and the metal findings are wonderful for a masculine touch. You have a talent at making everything fit so naturally. I like this idea for using up those hoarded supplies. I have been making some cards in this method. I call them "clusters." Such treasured memories and beautiful details! A beautiful layout with some beautiful paper. Thanks for sharing. I dig your signature style! Hi, Pam! So nice to see you again, and what a great team to be on! Love this new challenge site! Your layout is gorgeous and I LOVE those Graphic 45 papers - I need to get more than the few that I have! Looking forward to following along! Pam, this is one of my favorite paper collections from G45...well, a favorite among many favorites! LOL This layout is so delightfully vintage! I love your skillful layering of papers, the thoughtful embellishments and the inviting color palette. Oh, yes...I like your style! Gorgeous layout! What great design elements and embellishments!